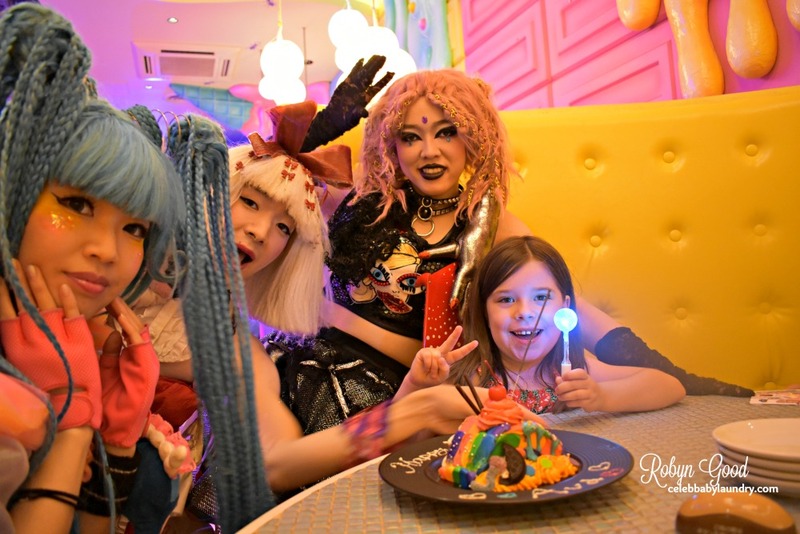 Japan never runs out of concept restaurants and if you’re looking for quirky and a taste of Japan’s kawaii culture, head of to Harajuku in Tokyo’s Shibuya district. Harajuku is more synonymous with gothic-unconventional fashionistas, but it has become an attraction itself. A fun attraction in Harajuku is Kawaii Monster Café. Before Daniel & I left for Japan we heard about the Café and thought with Ava just about to turn seven we would treat her and ourselves to a kawaii (cute) kid’s party at the Monster café. Located at the heart of Harajuku, this café is on the 4th floor of YM Square building. Like most buildings in Tokyo, the escalator was too narrow, especially with three kids in tow. Still, we made it to the entrance and were greeted by a kawaii girl. At this point, Ava couldn’t contain her excitement and her twin sisters, Ella and Rose were as much, if not more excited than she was. The girls were not sure what was going to happen but they knew it was going to be fun! 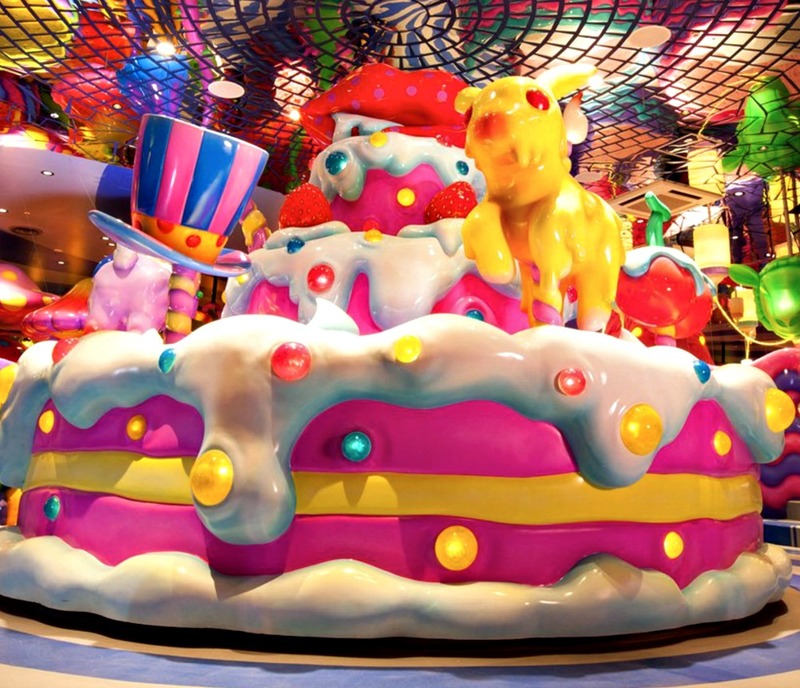 Kawaii Monster Café is the brainchild of a famous Japanese art director Sebastian Masuda. The cafe is designed like the inside of a monster’s belly. Think of Alice and Wonderland! At first, Ava was scared when she heard we were going to the monster café – but we reassured her that there were no monsters at the café. Rather, the café is named after the Harajuku Monster girls. 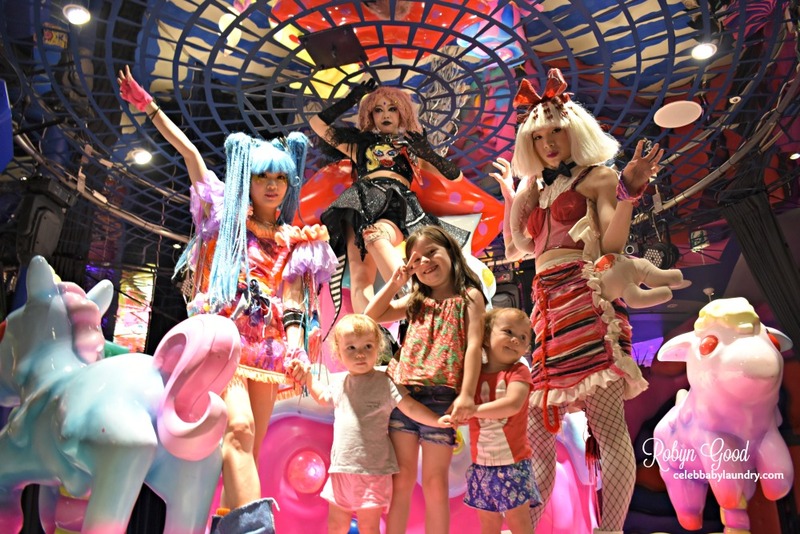 The monster girls were just Harajuku girls in colorful costumes mixing cuteness, friendliness, and Goth complete with glitter. Before getting into the Monster café, you get to choose the seating room that fancies you, each has different themes. Our journey to Monster Café started as soon as the door opened and we were greeted by a giant merry-go-round made of desserts and unicorns. The girls especially Ava were speechless with all the character shapes and colors around us. Finally, “Look, a unicorn!”, our birthday girl, Ava exclaimed. A little bit unusual, but for sure the kids loved the fantasy world we were in. I think the twins were thinking all of the desserts had come to life. They were so excited. When we were ushered to our table we tried not to be distracted with all the designs and colors around us, we had to decide on what to order. When visiting Monster Café, you have to pay an entrance fee and each person should order at least a drink and one food item. Because we were in Japan, I was not surprised to learn that the portable tablet has the menu. Well, they are all in dainty pastel colors, reminding me of my Play-doh days. Ava found it hard to decide what she wanted while I was trying to decipher the menu. 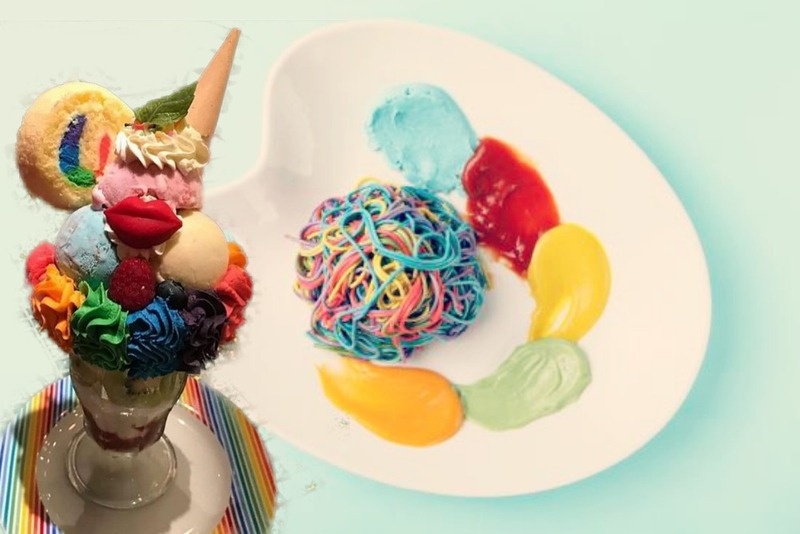 The most popular food at the café is their colorful Rainbow Pasta and parfait. For adults, try going to their bar and have some “cocktails” – they have mixes added to your drink and they change colors. Since Daniel and I were with the girls we decided to stick to strictly kawaii menu options. And yes, you can order “regular” food. Dan had steak while I had teriyaki bowl. We all had our cool drinks. The food was average, but I have to admit that this is a place where you pay more for the place and experience than the food. And because it was Ava’s birthday, the Monsters gave our little girl birthday girl her birthday cake. She loved it! It was a highlight of our trip to the Monster Café! Like the rest of the customers, we watched the Monster Show. After all the dancing, the monsters encouraged audience members to join them onstage. I like how the monsters accommodated the girls and they certainly had fun. Plus, the kids loved their glo-stick lollipops – yes, they actually glow! Ava had a blast and that’s what we wanted her to feel – it’s was her birthday after all. At Monster Café, girls live in a realm of fantasy. While I felt the place was wacky, I know kids found it entertaining. When it was time to change the twin’s diapers, I was surprised when I entered the washroom. Oh boy, it was still in character! Colorful small tiles that reminded me of jelly beans. The café is indeed a feast for the eyes and your overall senses. There are reflection-distorting mirrors and giant bunnies that seemed to be sucking from giant baby bottles. If you want something to take home, there’s a souvenir shop. Ava picked one item from the store and waved at the Monster girls full of glitter and a gigantic wigs resembling cotton candy. From her smiles, I know our seven-year-old had a great time. The twins were all smiling, waving their arms and legs throughout our stay at Monster Café. 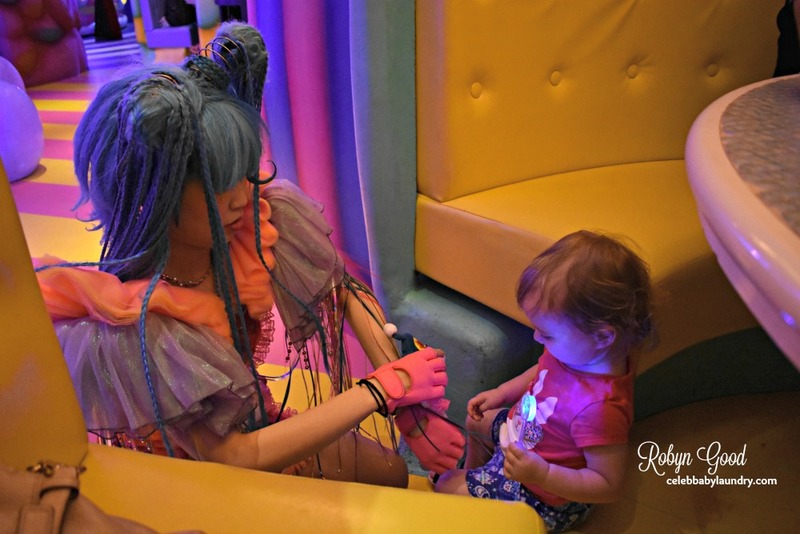 The Monster Café is child and kid-friendly. In fact, there are many tables with children dining and enjoying the party as well as high schoolers and curious tourists. 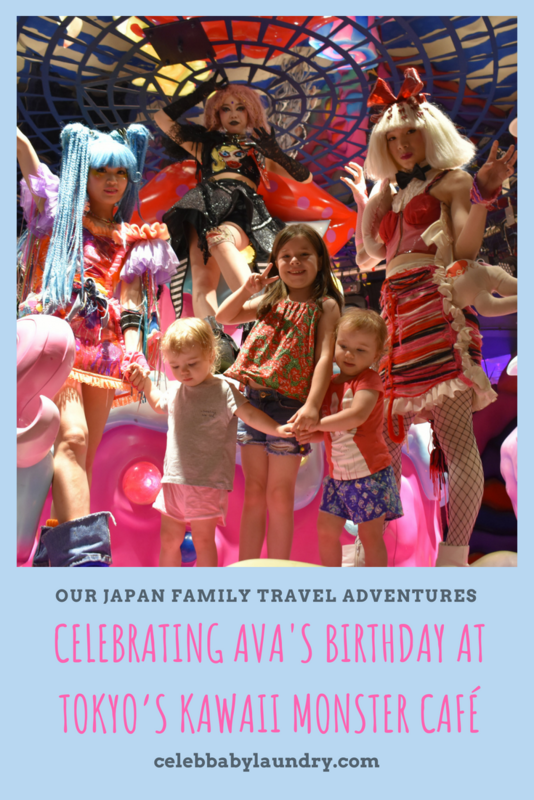 I hope Ava will remember her post-birthday treat at Tokyo’s Kawaii Monsters Café. Make sure to follow along with our Japan Family Travel Adventure, here! We are currently traveling through Japan and Thailand but Daniel is Vlogging every second. So check back soon and we will have videos up on our Youtube page here to visit our family adventures! Have you visited Japan? Make sure to include the Monster Cafe in your next family adventure in Japan! Prince George Is All Smiles For His Birthday!